Le Cordon Bleu was delighted to have Ms Julie Ballard as our industry guest speaker at Sydney’s graduation ceremony on 9 March 2017. Julie spoke passionately about the importance of working hard in the industry… but it brings great rewards! Julie’s impressive portfolio of industry experience includes event management, recipe development, food styling, and photography. She has appeared on Better Homes and Gardens, and Mornings with Kerri-Anne as well as working on publications for Masterchef, MKR, and OZ harvest. She regularly acts as a judge for Le Cordon Bleu and Australian Royal Fine Foods. Julie is an active member of the Australian Culinary Federation and Global Research Chefs Association. Ms Ballard is a proud alumna, graduating from Le Cordon Bleu Sydney in 2001 with a Diplôme de Cuisine. 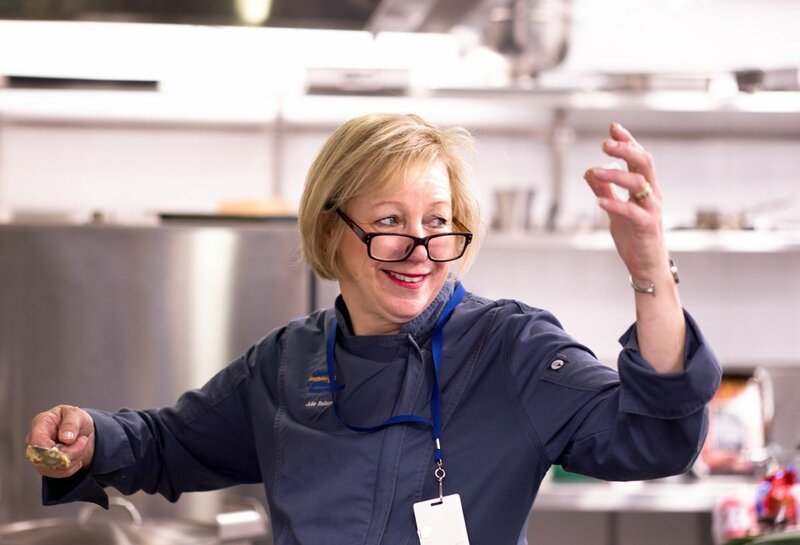 Since November 2015, Julie has worked for Cerebos’s Culinary Institute as Culinary Chef Consumer Food.